Hammer toe occurs when there is a shortening of the tendon that controls toe movement. 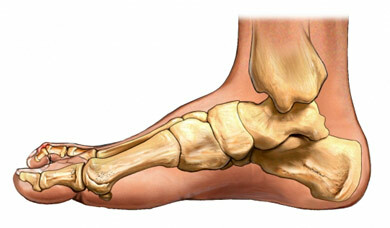 This causes the middle joint of the toe to be bent upward and the outer joint downwards. The misshapen toe resembles a hammer. A hammer toe correction is done to correct a toe deformity called a hammer toe . Hammer toe. Ortho Info—American Academy of Orthopaedic Surgeons website. Available at: http://orthoinfo.aaos.org/topic.cfm?topic=A00160. Updated September 2012. Accessed February 7, 2018. 6/2/2011 DynaMed Plus Systematic Literature Surveillance https://www.dynamed.com/topics/dmp~AN~T905141/Treatment-for-tobacco-use : Mills E, Eyawo O, Lockhart I, Kelly S, Wu P, Ebbert JO. Smoking cessation reduces postoperative complications: a systematic review and meta-analysis. Am J Med. 2011;124(2):144-154.e8.